I realize I’m sticking my neck out a bit Daniel, but it’s not the first time. I’ve already noticed that two people have stopped following my blog since I posted this “meditation,” so it’s already having some small impact. I know that disagreeing with a model or a prized teacher, to some folks, is the same thing as disagreeing with the Holy Scriptures, but I’m hoping most people will understand that the Bible is interpretable. R.C. 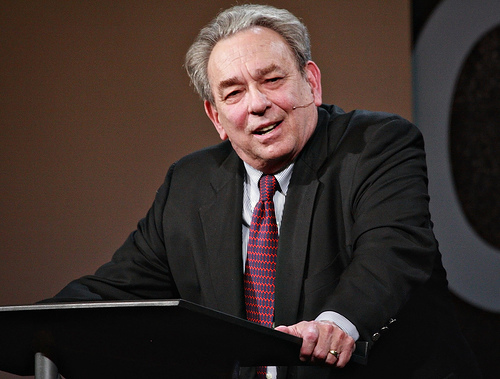 Sproul and his contemporaries have one such interpretation, but other valid perspectives exist. If people would start reading the literature of modern New Testament scholars, they’d realize that there isn’t as much agreement on Christian doctrine and theology going on in Christian academic studies as they might imagine. All I want to do is to bring that discussion down to the level of the blogosphere. So far no one has responded to my comments or the link to this blog post on the Facebook page I mention in the body of this missive. I imagine there may be some “passionate” comments made there as well. So, Dr.Sproul wishes to describe a mechanism whereby Rav Yeshua collects a sufficiently large pile of righteousness that it might be dumped onto his unrighteous disciples — because, I presume, he doesn’t share the Jewish view that righteousness is an individual pursuit that can be achieved even after failures have occurred and been dealt with by following HaShem’s prescription for righteousness. Given his lack of confidence in such a pursuit, even with its reliance on HaShem’s help and active provision, I can’t blame him for wanting a neat package that doesn’t depend on it. I do marvel at the ingenuity that some people will apply to prop up a doctrine that lacks a suitable base. I could suggest for him an alternative way of looking at Rav Yeshua as “our righteousness”, of course, as well as an explanation for the mechanism whereby trusting in HaShem’s provision allows righteousness to flow from a sacrificial symbol. One can find a clue about how it works by meditating on how the ancient sacrifices worked, because the animals and other offerings had neither intrinsic nor earned righteousness in themselves, but still they enabled righteousness to flow out of the repentance and re-dedication that they ratified. The difference between an earthly sacrifice and a heavenly one is, of course, that the former occurs only once and briefly, hence its effect is also temporally limited — whereas a heavenly sacrifice, such as presented in the symbology of Rav Yeshua’s martyrdom, has no time limits on its effectiveness. It is always “there”, to be perceived and to focus our trust on HaShem’s forgiveness and His encouragement toward our progressive success at pursuing sanctification. Thus the righteousness is an unending fountain overflowing onto all who place their trust in HaShem’s acceptance of this sacrifice. @PL: I don’t think the sacrifices at the Tabernacle and the later two Temples can be compared directly to Rav Yeshua’s symbolic sacrifice. There is no sacrifice for deliberate sin at the Temple. There can only be sincere repentance. King David famously wrote about this in Psalm 51. 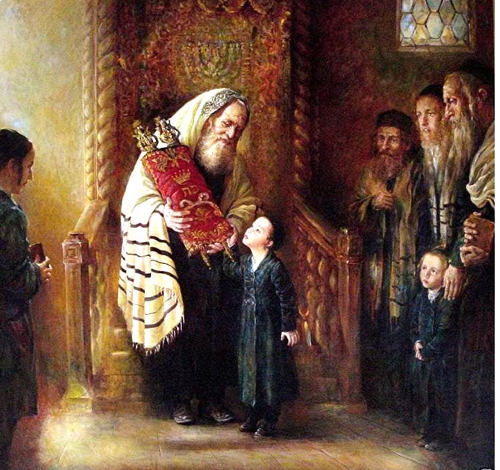 How the death of Rav Yeshua, the greatest tzaddik, atoned for the sins of his generation and indeed for all Jews, is a deeply mystical mystery whose meaning is at least difficult if not all but impossible to grasp. When Christianity compares the Rav’s death to the death of animals in the Temple, I believe they expose their grave misunderstanding about Korban vs. how Yeshua’s death operated on a metaphysical level. I can’t say that I have any insights beyond what I wrote over five years ago (see the link above), except to say that Hashem promised to take away Israel’s sins as part of the New Covenant blessings, and I believe Rav Yeshua’s death was the mechanism by which He has done and will do so. 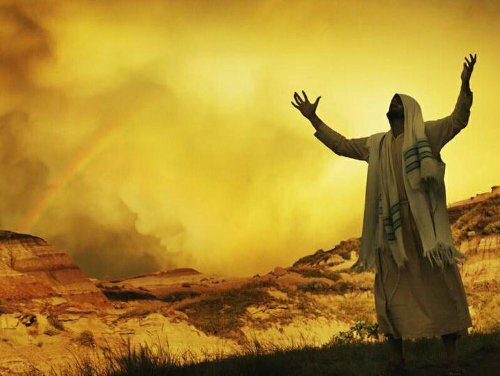 It is only by Hashem’s grace and mercy that we Gentiles are allowed to benefit from some of the blessings of the New Covenant, but only by attaching ourselves to Israel through our fealty to Yeshua and the worship of the God of Israel. One of the reasons Christianity baffled me when I used to go to church back in the day, is that the Church couldn’t show in the Bible how Yeshua’s death took away sins. They presented a doctrine, as Sproul has done, but there were no direct prophesies in the Tanakh that acted as a “smoking gun”. It was if the death on the cross taking away sins just appeared out of thin air with no direct Biblical support. This is an unfortunate affect of the Church Fathers radically refactoring the meaning of the events recorded in the Apostolic Scriptures in order to elimiate any Judaism from Rav Yeshua, his teachings, and particularly the teachings of Rav Shaul. They had to make up a lot of stuff or allegorize it so much it appears to be more fantasy than scripture. @James — The fact that Rav Yeshua’s symbolic heavenly sacrifice is more comprehensive than the set of sacrifices available to the earthly sanctuary should not change the way the mechanism operates. If the earthly sacrificial system is to have meaning, in terms of why HaShem would bother with such a system at all, one must infer that it had exemplary value. In other words, if one can understand how it worked, one may extrapolate the mechanism to understand the operation of any sacrifice based on that pattern. The nature of the relationship between the earthly and heavenly sanctuaries was precisely that the former was patterned on the latter. As for the language about “taking away” sins rather than merely “covering” them, I would suggest that this is the distinction between sanctification and sacrifice (korban). As the process of repentance that a sacrifice ratifies “covers” any given sin, so the re-dedication that empowers the process of sanctification leads to the removal of the impetus which originally motivated that sin — not to neglect the corresponding value of acquiring knowledge with which to counter or guard against that sin. It is Rav Yeshua’s teaching and perspective which empowers that sanctification process. Hence his symbolic sacrifice covers and his instruction and attitudinal adjustment takes it away. Looking at the processes in this way also goes a long way toward explaining how some folks miss it or seem not to apply it to their lives. While there were other complications in what this teacher said or stands for, the the specific indication of the title for this post and conversation is something toward a good direction. Passive/active: it does make sense that how Yeshua lived, not only that he died, matters. I have a different take on this altogether. After studying the Levitical sacrifices from Scripture (without the overlay of commentaries, systematic theologies, etc), I’ve come to a conclusion/understanding different from either “camp”. In my mind, the problem with the whole “Levitical Priesthood vs Yeshua’s Priesthood” paradigm is faulty from the get-go. It’s not one or the other as if they are mutually exclusive. The Levitical Priesthood was given to create and maintain “holy space” for God’s Glory Presence WHILE it physically existed on the Temple Mt. This allowed the Israelites to experience God in an outward, tangible, real-time way when they came to worship on the Temple Mt. Messiah’s Priesthood has a DIFFERENT purpose. Messiah’s Priesthood was given to create “holy space” for the human conscience so that we can experience God’s Presence inwardly, continually, and eternally. The two Priesthoods are DIFFERENT priesthoods with DIFFERENT purposes. The “method” of blood purging is necessary for both priesthoods. The animal sacrifices of the Levitical Priesthood generally DID NOT atone for sins of moral failure. They atoned for “ritual impurities” so that the Israelites could enter “holy space” on the Temple Mt. The sacrifice of Yeshua on the other hand DOES atone for sins of individual moral failure. Yeshua’s sacrifice is far greater in that while the Levitical sacrifices could only provide atonement so that the Israelites could access the Temple Mt’s Glory Presence for the moment, Yeshua’s sacrifice provides atonement so that ANYONE can access His Presence inwardly, continually, and eternally. HOWEVER, contrary to popular opinion, as per Jer 33:17-22 the Levitical Priesthood has NOT been abolished (put on hold perhaps, but not abolished). It will be renewed in the Millennial Age as Ezekiel 40-48 clearly (and in much detail) expresses. It is not currently operational now because there is no temple or Shekineh present to which the Levitical sacrificial laws pertain. But in the Millennial Age, when the Glory Cloud returns, it will be up and running! Shavua Tov, Merrill — You’ve effectively reiterated the bicameral nature of earthly and heavenly sanctuaries that I presented, though I do need to emphasize that the Levitical sacrifices were not merely a matter of maintaining “holy space” or addressing “ritual impurities”. 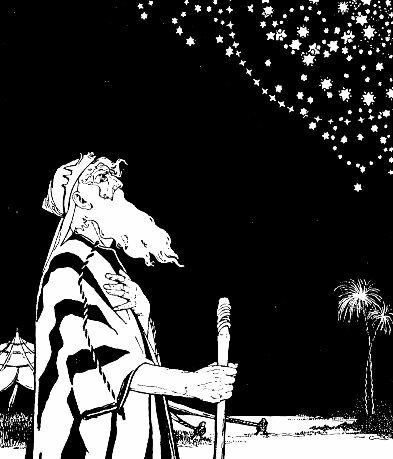 Moral failure in the Torah does bring with it impurities that interfere with a relationship with HaShem, and a number of sacrificial offering types address these (notably the “sin” and the “wholeness” offerings). I think James pointed out that Rav Yeshua’s sacrifice offers more comprehensive coverage than the Levitical system, but their effects are not as neatly separated as you described. Blessings to you, James, and Marleen. Shavua Mitsuyan, Merrill — I appreciate your listing of sins lacking atonement by sacrifice, including “adultery, murder, idolatry, cursing parents, sorcery, defiant Sabbath violations, etc.” However, the Torah as practiced included two features in addition to direct atonement. One was a form of plea-bargaining, whereby the full force of penalty against a blatant presumptuous sin could be mitigated by finding means whereby the failure could be viewed as an error of less significant proportion, due to repentance and correction of the sinner and persuasion of the witnesses who must have brought the charges that the matter was not as black-and-white as it appeared. This is not unlike what occurs in a modern courtroom trial. Further, protections were enacted to ensure that the accused was fully aware of the consequences of a non-atoneable action and that he had been warned clearly before committing the “crime”. It reminds me of the modern requirement to acquaint an accused with his “Miranda” rights. This constitutes the other form of protection to which I alluded, which is prevention of the sin by other members of the community. The laws and judgments outlined in Torah are more complex in their operation than they appear on the surface. Thus the “Law of Liberty” to which Yacov referred in Jam.1:25 & 2:12 represents a very serious implication. This concept was cited directly from the rabbinic interpretation of Ex.32:16 in the “Ki Tissa” parashah, which we just read this past shabbat. There the un-pointed Torah text refers to the Torah that was written on the tablets by HaShem as “חרות”, which may be read as ‘harut (inscribed) or ‘heirut (freedom). In Hebrew that constitutes a pun or double-entendre, and it teaches us that the purpose of Torah is not condemnation, but rather that it is to set us free from “the sin that so easily entangles us” (cif:Heb.12:1). Thus also the Torah continues to function even when the earthly Temple cannot do so, and the “Kvod HaShem” (“the Glory of the LORD”), or the “Kvod haShechinah” (“the Glory of the Presence”), must withdraw to a safe distance (e.g., to the heavenly sanctuary) lest death should ensue. Nonetheless, this “Glory” was never intended to function as anyone’s executioner, hence he has withdrawn until the purity of the Temple and its participants may be restored (which is a task to which the Torah also will contribute its part). Meanwhile the “judges and magistrates” will continue to stand in for the Temple’s Cohanim and Levi-im to administer the Torah, and it is, perhaps, the responsibility of the rest of us to help them to do so in accordance with the perspective of the heavenly sanctuary insofar as possible. PL: If you are referring to examples of “lesser” intentional sins (such as stealing or swearing falsely as in Lev 6), I realize this. Only VERY FEW “intentional sins” however could be mitigated via repentance whereby the violator then became eligible for forgiveness through animal atonement. However these cases DID NOT include adultery, murder, idolatry, sorcery, etc. If the violator was convicted before a court the penalty was death or excommunication. There was NO animal atonement available for these crimes. Sincere repentance did not lessen the penalty in these cases. In the case of David’s commision of willful adultery and murder or the case of Mannaseh’s wilfull idolatry, both of these individuals were graciously forgiven by HaShem. BUT NOTICE: they were both forgiven APART from the Levitical sacrificial system! This shows us that there already existed a method of atonement available to cleanse the penitent heart even for the “greater” sins. The method however for their atonement was NOT the animal blood given under the Levitical sacrificial system. It was/is YESHUA’S BLOOD that was given which acts/acted retroactively for all sins committed prior to Yeshua’s death (Hebrews 9:15). Another thought after re-reading the OP…. Just some thoughts, and again I realize you see this differently. But it’s nice to share in conversation as we sort out these things. Levitical atonement is effective for “purifying the flesh” so that God’s Glory Presence can be experienced and accessed in a specific locality at a specific point in time ( Hebrews 9:13). It necessitates a functioning Temple system with the Shekineh being present in real-time/space. Yeshua’s atonement is effective for “purifying the conscience” so that God’s Presence can be acessed and experienced at any moment and for eternity (see Hebrews 9:14). Access to God’s abiding Presence (experienced in the believer’s heart via Yeshua) is not confined to time and space. Access to God’s physical Glory/Shekineh is. And just as animal blood was necessary for “cleansing the flesh” in the past when the Shekineh was present, they will be necessary again when the Shekineh returns in the Millennial Age. Hi, Merrill — I think you made my point for me by citing David’s adultery and second-degree murder. These charges were never brought to trial due to HaShem’s gracious forgiveness. None of the potential witnesses brought forth accusations to any portion of these actions, hence from the perspective of the Torah’s legal system, they were not entered into that system as events to be adjudicated or atoned by means of the system (which, of course, would have to have condemned rather than atoned or forgiven). But that gracious reticence about how events were or were not entered into judgment was also a part of jurisprudence under the Levitical legal system (not really “apart from” that system). Claiming proactive benefit of Yeshua’s symbolic sacrifice is not really arguable, except as a fictional fig-leaf to satisfy someone’s sense of outraged justice (as you cited from Heb.9:15). Even granting to David some prophetic vision that a heavenly sacrifice had been offered on his behalf, all he could really experience existentially was his trust in HaShem’s ‘hesed, that He had covered the matter. In all likelihood David wrote Psalm 51 as his own meditation upon the matter, whereby we might perceive particular poignancy in verses 1, 9, 14, & 16. True PL, and what does this say about how well Torah’s legal system worked, or how strictly the letter of the Law was followed? Why weren’t King David’s sins brought before the court at that time? Was David above the Law? Was it commonplace for witnesses to turn a blind eye? Was justice frequently not served? It’s curious that in Tanakh there are no recorded events of capital punishment being carried out within Israel (by a court) after Sinai. There was certainly plenty of opportunity for it. And yes I realize just because there are no incidents actually recorded, that they didn’t take place at times. But apparently for whatever reason they have not been recorded for us. I find that curious. But getting back to King David. If I didn’t know better I would think God “bent the rules” for David. This would make God a “respector of persons”.But we know this is impossible as it violates His very nature/essense/character. I now see that this incident (of David’s being forgiven, along with other similar indents in Tanakh where capital sins were forgiven) provided evidence which hinted very strongly that there ALREADY existed a WAY operating (beyond animal atonement) whereby “greater sins” were eligible for atonement. It hadn’t yet been revealed what this “system” was, but it was none-the-less very much operating proscriptively from Heaven’s perspective. Something you ought to understand about the nature of law, Merrill — and this is true for modern legal systems as much as for Torah — is that law is always a last resort to be employed only when problems cannot be resolved by other means. Consequently, I would evaluate the Torah’s legal “system” as operating very successfully. The most successful legal system is one in which problems are resolved without actually employing legal sanctions. They may be resolved or “settled” by arbitration, by voluntary restitution, or by outright forgiveness. It is the *threat* of legal sanctions that sometimes is needed to persuade potential litigants that they should resolve matters more amicably. Justice is not a mathematical formula to be applied from a written code. That is why judges are employed to evaluate the circumstances of individual cases. Only when justice is based on a comprehensive evaluation and tempered with mercy can it truly accomplish the goals of righteousness. My “formula” is not exhaustive. I am suggesting it as a general rule of thumb. Part of the “formula” which I did not mention btw includes reparations to the injured party. But sometimes reparations are impossible to make, humanly speaking. This is where RANSOM related atonement comes into play. I realize that not all animal sacrifice offerings are ransom related (many are not), rather they are for the purpose of drawing close to God as you mentioned. But this is not the particular type of animal atonement I was referring to. The type of atonement I am referring to is the type which is ransom related. The type of sacrifice Yeshua displayed on our behalf is most certainly “ransom” related. There is a principle in Scripture where misdeeds (aka: sins) incur “debt” to the one’s account (Romans 6:23). If the debt is not paid by the violator (or another party who steps in as a “ransom”) the debt remains. The colloquial term “at-one-ment” (being at one with God) is NOT the same as ransom. Personally, I don’t like this term because it really doesn’t do justice to what atonement really means. “Atonement” should not be confused with “forgiveness”. Atonement is an action which brings restoration to the relationship (i.e. “forgiveness”). “Atonement” and “Forgivenss” are not the same thing. Sincere, heartfelt repentance makes one ELIGIBLE for atonement. Repentance is the INITIATOR which opens the WAY for atonement to be procured. But it’s the atonement itself that SECURES the forgiveness (as per Heb 9:22). Repentance is the initiator, atonement is the mechanism. Repentance is what happens on our end; atonement is what happens on God’s end. Repentance without atonement won’t secure forgiveness. Atonement without sincere repentance won’t secure forgiveness. BOTH are necessary. I’m going to suggest turning your formula around, Merrill. Repentance plus forgiveness yields atonement. Atonement has been defined colloquially in English by parsing its syllables as: “at-one-ment”. That is to say, it is the making of two disparate elements to be at one common state. Thus it is the motion of repentance from the party at fault, and the motion of forgiveness from the wronged party, that brings them together at one place. Of course, in Hebrew a “korban” (“sacrifice”) is what “brings close” (“makriv”), the party expressing “repentance” (“tshuvah”, returning), to the party expressing “forgiveness” (“slichah”), under the “covering” (“kaparah”) which is atonement. In other words a sacrifice ratifies or expresses that a state of repentance exists, which when met with forgiveness achieves atonement, whereby all prior conflict has been smoothed-over under its covering. It can only operate successfully if it is not corrupted. For much of Israel’s history it seems it wasn’t exactly operating as intended. Law might be a deterrent but it only “deters” when just penalties are carried out. As far as things being settled outside of court, “settlements” only work when both parties are in agreement. And it still they entail an “adjudication” of sorts that takes place between the parties involved. I’ve been kind of busy lately and haven’t been able to give this discussion, especially between PL and Merrill, the attention it deserves. I can’t add anything to what’s already been said on the topic (which actually seems “off topic” but worthy of presenting here). Very good presentation of your understanding of the earthly and heavenly Temples and their roles. I realize this is a tangent to the original subject. I guess my personal beef is that people on both sides of the issue (i.e. Covenant at Sinai no longer applies (=Sproul and most of Christendom) vs Covenant at Sinai still applies ) is based on a faulty understanding of the Sinai Covenant. I know “I’m sticking my neck out here” (as you like to say) and that I’m sort of a “maverick”, but I don’t think people on either side really understand the purpose for the animal sacrifices of the Sinai Covenant, and this is where the confusion lies. When it comes right down to it (generally speaking) the Levitial sacrificial system was not DESIGNED for the purpose of cleansing from personal moral failure. Nor was it designed to provide eternal salvation for the individual soul. Perhaps if people truly understood the purpose for each Covenant (along with the purpose for their respective sacrifice/sacrifices) there wouldn’t be so much theological confusion (along with resulting disagreement). The New Covenant doesn’t “fulfill” the Levitical Covenant so that “it is no longer needed”. Rather the New Covenant SUPPLEMENTS the Levitial Covenant with “greater promises” which extend to all nations (including and beyond Israel).